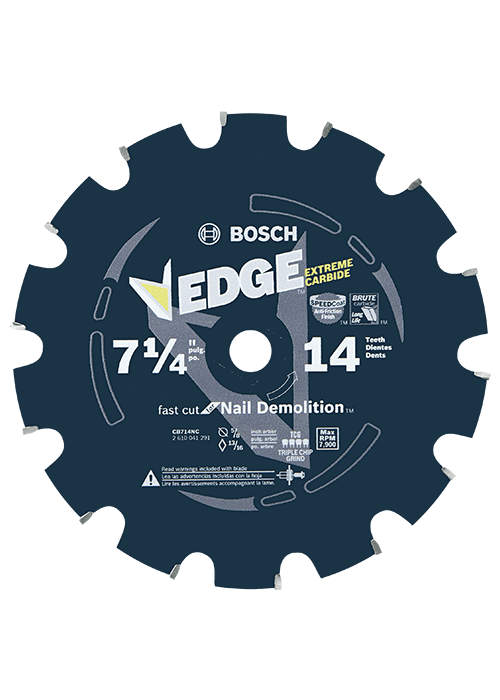 Bosch Edge Circular Saw Blades for nail demolition applications are designed with the leading-Edge dyanite C-2 carbide, which stays sharp in heavy-duty use up to 6X longer. They have trimetal shims that resists damage from impact. With a special solid-surface grind for longer tooth life than conventional saw blades, these blades include fully hardened blade plates.